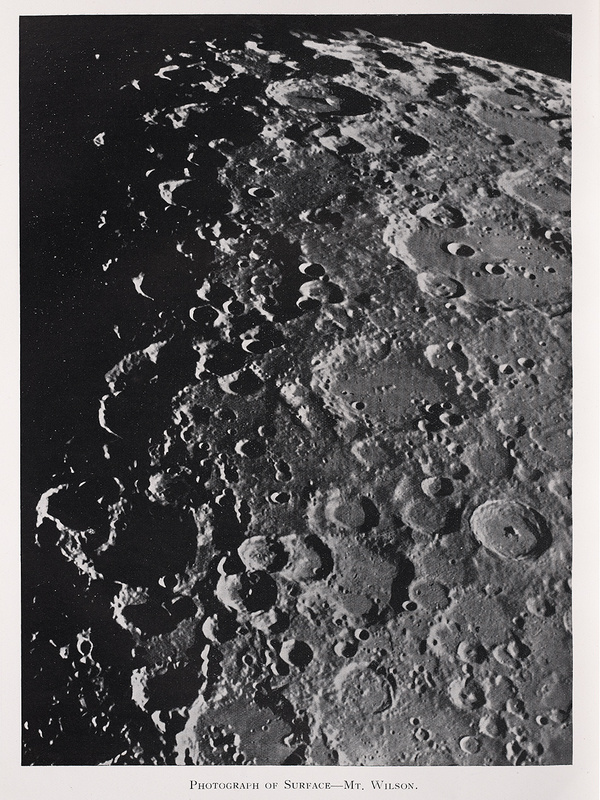 The photograph, taken September 15, 1919, shows the southern lunar highlands. The crater Maginus is at right center; Clavius is just above it to the right; smaller Tycho (with central peak) is below, near the right margin. As Goodacre himself commented, rather grandly: "These photographs reveal details which do not appear on any chart or previous photograph, and probably are now rendered visible to the human eye for the first time in the history of the race."